The new flagship with also debut LG's Voice AI. LG will unveil a new version of its flagship phone, the V30, at the annual Mobile World Congress this year -- and as the rumors said, it'll have an AI-powered camera. The Korean company has developed "Vision AI" to make the phone's camera smarter and easier to use. Vision AI can automatically analyze what you're taking a photo of and can recommend the best shooting mode among the eight (portrait, food, pet, landscape, city, flower, sunrise and sunset) available. It can take the object's angle and color, any reflection in the surroundings, as well as the lighting and saturation levels into account to conjure up the best image possible. The AI also has a handful of shopping capabilities. It can do an image search or scan QR codes to show you where you can purchase the item you're taking a picture of (along with similar products) for the lowest price. In addition, Vision AI will measure the brightness of the actual image you're capturing with your phone in low lighting conditions to brighten parts of the image that matter. In addition to a new camera AI, LG will also introduce a new Voice AI to alongside Google Assistant. It will add new voice commands, most of which are connected to Vision AI, on top of the 23 LG-exclusive Assistant commands. 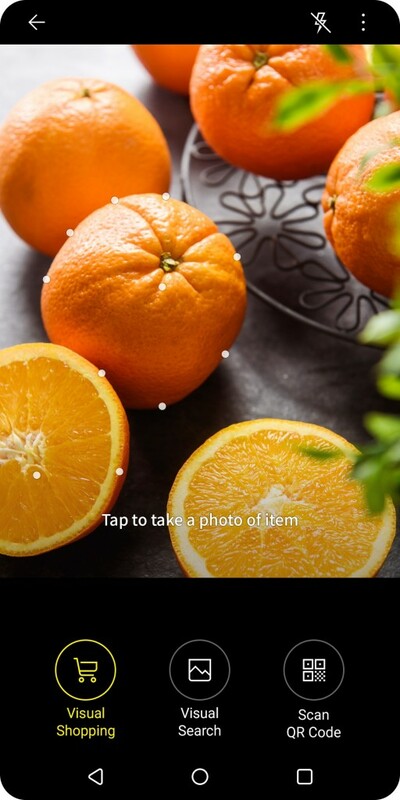 You'll be able to ask Voice AI to take a photo in panoramic mode, in food mode or in low-light mode. It can take slow-motion videos if you ask it to, and even to do an image search or scan a QR code to conjure Vision AI's shopping experience. LG says these are just the first in the "suite of AI technologies" it's planning for the V30. It didn't say when it plans to reveal the other AI tech it's been working on, but we'll know more about these two by the end of February.